Henna (Arabic: حِنَّاء‎) is a dye prepared from the plant Lawsonia inermis, also known as hina, the henna tree, the mignonette tree, and the Egyptian privet, the sole species of the genus Lawsonia. Henna can also refer to the temporary body art (staining) based on those dyes (see also mehndi). Henna has been used since antiquity to dye skin, hair and fingernails, as well as fabrics including silk, wool and leather. 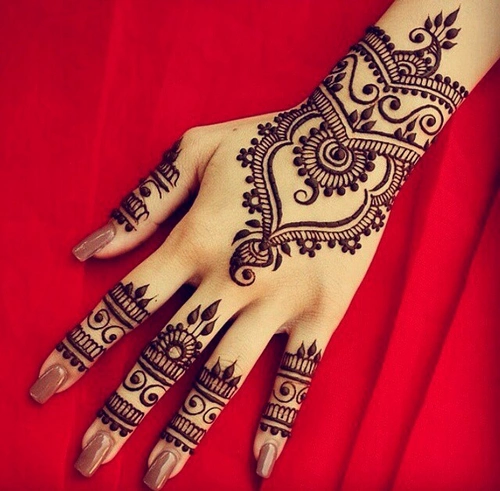 Historically, henna was used in the Arabian Peninsula, Indian Subcontinent, near and Middle East, parts of Southeast Asia, Carthage, other parts of North Africa and the Horn of Africa. The name is used in other skin and hair dyes, such as black henna and neutral henna, neither of which is derived from the henna plant.